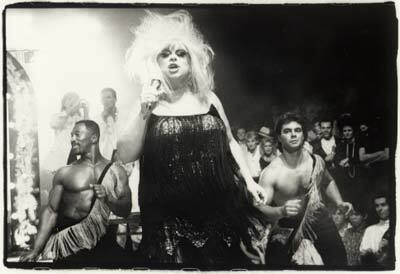 is a photographer from London who generously agreed to share with us these shots of Divine from her notorious 80's club dates. Mike even went backstage and met the "filthiest person alive" (who incidentally turned out to be a very sweet man!). You'll see as the years progress, Mike's shots become more intimate portraits of the most infamous of Dreamland stars. Most of these images have never been published. So, if you'd like to purchase prints of any of these amazing photos, email Mike!